Wales Advisory Council For Diabetes | Life, Sport and Diabetes - An everyday look at my life with type 1 diabetes. Today we held the latest meeting for the Wales Advisory Council for diabetes, at the Holiday Inn in the centre of Cardiff. The agenda was a busy one, as although it only felt like a couple of months since the last meeting, there was much to discuss. Which means that next year's conference is in the planning and we're already discussing what topics and talks might be included. Some of those suggested were how to do sport safely with diabetes and a talk about starting exercise, when someone is not currently active. We also spoke about DKA (diabetic ketoacidosis) at diagnosis, in addition to missed diagnoses, and what can be done in Wales to raise more awareness of the 4t's symptoms and to increase the number of children being tested for type 1 when they present to the GP. Additionally, we strategised on how those people who spend time with children, from parents to educators, can be made aware and are able to highlight when a child is showing symptoms and is at risk. An incredible amount of money has been raised by the Baldwin family, who sadly lost their son Peter to the condition over a year ago. We're very grateful that the money that they've raised will be put to such important use, relating especially to DKA and diagnosis. The council discussed structured diabetes education, including the already available 'Advice for people newly diagnosed with type 2 diabetes' booklet that can be requested from DUK (Diabetes UK), and is available from some clinics. We also had a first look at the proposed 'prescription videos', which are informative short films that will be prescribed in the future by healthcare professionals on specific conditions. 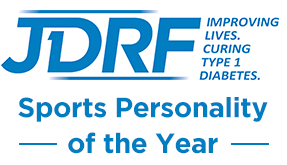 The next event on the Diabetes UK calendar is the Inspire Awards in London, which I'm honoured to be attending along with the Baldwins, on June 7th. I'll look forward to live tweeting from the event and reporting back on all of the winners and inspirers on the day.